I Love these beads! They are very Yummy. 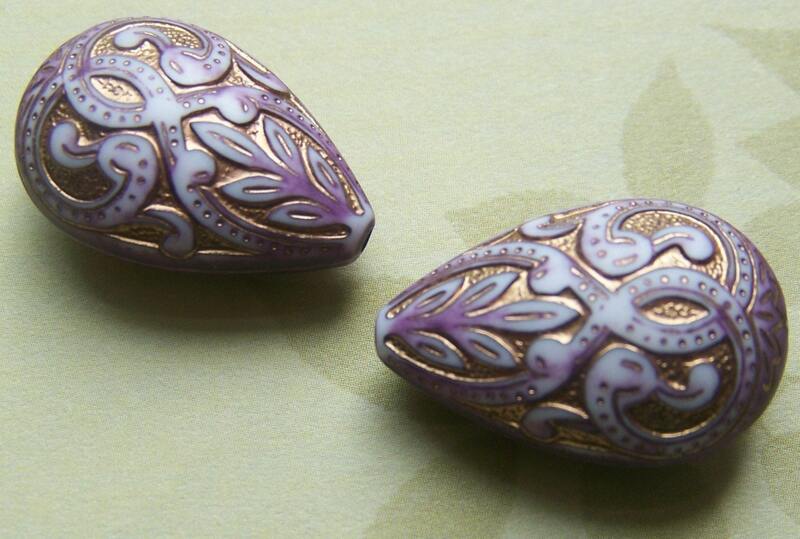 They are an acrylic bead with a gorgeous vintage look. They are a pretty shade of purple or lilac with gold detailing. These measure 27mm X 18mm. You will receive 4 of these. chunky yet delicate. Pretty purple color.